One of the easy My Rotten Redheaded Older Brother lesson plans is on comparing and contrasting. 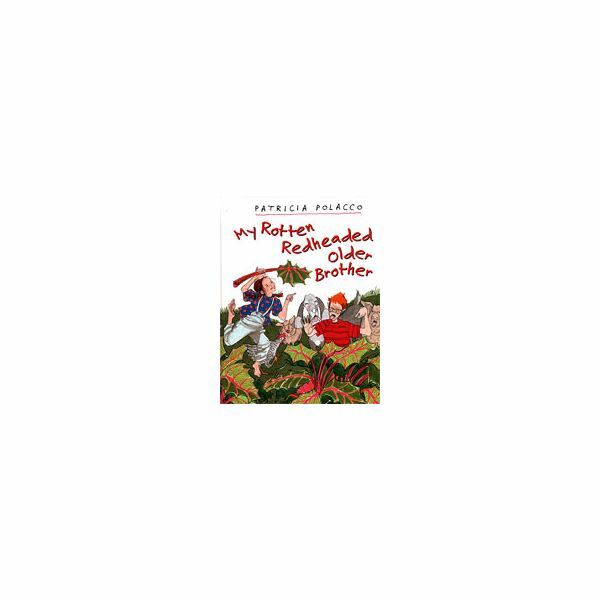 In this book by Patricia Polacco, Patricia, as a young girl, is trying to do something, anything better than her older brother, Richard. However, she is convinced that he can "climb the highest, get the dirtiest, and spit the farthest." Your students can work on comparing and contrasting this brother and sister pair using a Venn diagram. Then students can write two paragraphs about Patricia's and Richard's similarities and differences. Another way you can do this activity is by asking students to compare or contrast themselves with one of the characters or with their own siblings. You can also do the comparison chart or Venn diagram as a class, and they can write the paragraphs on their own. How does Patricia solve her problem of finding something she can do better than her brother in the story? In this one of the My Rotten Redheaded Older Brother lesson plans, students will first identify the main problem in the story and discuss how Patricia plans to solve it. She actually tries to solve it two different ways: by wishing on a star and by staying on the merry-go-round the longest. What do students think about her solutions? What else could Patricia do besides what she does? Students can brainstorm solutions and discuss which ones would work to solve Patricia's problem. To extend the lesson plan, students could rewrite and illustrate the end of the book with their new solutions. Teaching cause and effect with one of the My Rotten Redheaded Older Brother lesson plans is a fun way to teach children this reading skill. The obvious cause and effect pair in this book is when Patricia stays on the merry-go-round too long and then she gets dizzy and falls down! Cause: Patricia stays on the merry-go-round longer than Richard. Effect: She gets dizzy and falls down. Cause: Patricia wishes on a star. Cause: Patricia wants to be better than her brother at something. Cause: Patricia gets dizzy and falls down. Effect: Patricia decides that sometimes wishes come true in unexpected ways. Effect: Richard carries Patricia to safety and goes to get the doctor. Once your students have successfully given you either the cause or effect for your examples, they can read through this Patricia Polacco book and find their own cause and effect pairs. They can write these in their reading response journals. If they run out of ideas because of the several examples you already did together, you can read another Patricia Polacco book to them for their own cause and effect pairs.